Nobody wants to be in immigration court or lose their visa, especially someone already paying a fortune for international tuition and studying hard to get their degree. But it is shocking how often international students are unaware that seemingly-innocuous actions can be deemed violations of their visa and possibly get them deported. Unfortunately, the federal government isn’t much help. After 9/11 the current student visa system is a labyrinth of unclear rules and requirements that sometimes make no sense. And the responsibility is on the student to be in complete, full-time compliance, even if the rules are unclear or haven’t been clearly communicated to them. Add to that the recent string of colleges being busted by ICE for not complying with SEVIS requirements or fake colleges being set up by ICE to “bust” international students, and the level of confusion shouldn’t be surprising. One of the most common scenarios I see in my work is the well-meaning student whose family has run out of money for tuition. They feel helpless. Perhaps a trusted person in their community offers an “easy” solution which may involve using a doctored social security card to get a job. The result is a violation of the student’s visa and can land them in criminal court or immigration court (and out of school). 1. Lying on your visa application before you even get here. Before even coming to the United States it is critical that you be honest in filling out all immigration forms. Lying about the source of funds is probably the most common of these examples, but make no mistake: doing this will get you into trouble. Take the example of a group of graduate students at Kansas State University a few years ago. Nine students from Nepal who were working on advanced level degrees were charged with having used false bank documents to misrepresent their ability to pay their tuition. Keep in mind, they were actually paying their tuition, so there wasn’t a real dispute whether they had the money for tuition. The dispute was the government’s allegation that they had lied and used false documents to support their lie. It may sound strange that the government would prosecute young people for something that seems so trivial, but it definitely happens. Another easy way to lose your student visa and get deported is working without permission. The Immigration regulations are very clear that an F-1 student who works without permission is no longer eligible for their visa. And if your student visa status is terminated, working without permission also makes you ineligible for reinstatement. This goes hand-in-hand with working without permission. If you claim to be a US citizen so you can work or obtain some other benefit, you could get deported and be ineligible for future admission to the United States. This is because one ground of “inadmissibility” is having made a false claim to citizenship for any purpose or benefit under state or federal law. And it’s not clear whether any waiver is available for this ground of inadmissibility. The most common place international students make these claims is on the I-9 form, which is used by employers to prove to the government (if audited) that their employees are actually eligible to work. This is an easy mistake to make, because you may think you really need to work and can’t get the job otherwise. But aside from violating the terms of your visa, this decision could haunt you for the rest of your life. There are a few exceptions to this rule and ways people with false claims to citizenship still might be able to stay, but they’re not available for everyone. 4. Using Fake Papers or Someone Else’s Social Security Number. This should be a no-brainer. It’s not just a violation of your visa; it may be a crime. Using Fake documents or someone else’s identity (usually to work) is a quick way to lose your student visa, get charged with a crime, and possibly get deported. You can’t fake a marriage if you’re planning to keep your visa. A “sham marriage” might sound like a quick and easy way to get your green card, but steer clear. Gaming a marriage to get a green card is a crime. Even if you’re not charged with a crime, if you’re caught you’ll like be placed into immigration court, the first step toward getting deported. That means if the Attorney General concludes your previous marriage was a sham, even a future spouse, your kids, or your employer won’t be able to sponsor you. This penalty can truly last a lifetime. Take the example described in Ikenokwalu v. White. In that case, an immigrant was accused of engaging in a fake marriage in 1986 to try to stay in the United States. 20 years later her adult son filed a visa petition for her. But because the Attorney General believed she had engaged in a fake marriage way back in 1986, even her adult son wasn’t eligible to petition for her because of INA 204(c). Common situations that get international students into trouble include domestic incidents (getting arrested during a fight or argument with your roommate/partner/etc. ), drinking and driving, and shoplifting/theft. You may have an explanation for your behavior, but if you are convicted of a crime you can jeopardize your student visa and could get deported. In fact, international students should avoid drugs and drinking altogether. College can certainly be fun, but it’s not fun getting arrested by immigration authorities and charged with removability over a bad decision made when you were impaired. Okay, so the title is a bit tongue-in-cheek, but the point should be clear. 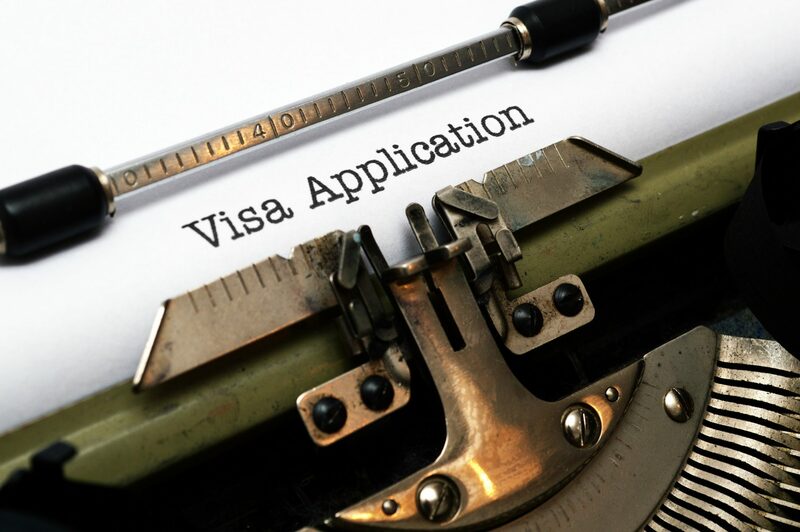 If you’re here on a student visa and working toward finishing your degree, certain seemingly innocent actions can lead to your visa being revoked. Did I miss anything? Feel free to let me know in the comments.